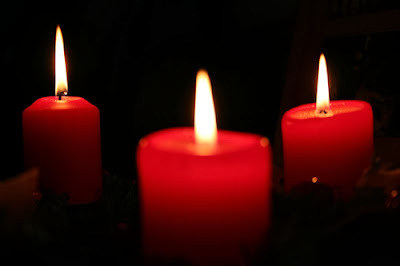 During a recent Lessons & Carols event, two passages of Scripture stood out to me: Micah 5:2 and Matthew 2:6. At first they stood out to me because they sounded very similar. I thought I was hearing the same thing twice in the same event. But immediately I remembered that Matthew refers to Micah 5:2. That was nothing new to me. What was new to me was its presentation. It had never occurred to me, until recently, that Matthew does not cite Micah 5:2 as another one of his "fulfillment" passages (for example, as he does with the virgin birth citation from Isaiah 7:14). Instead Matthew cites Micah 5:2 in order to teach what the chief priests and scribes of Israel believed. For those who have been following my lengthy series on Matthew's gospel (found here), this is pretty significant when compared with every other mention of Israel's religious rulers in the same gospel. Now muster your troops, O Daughter of troops! Siege is laid against us! With a rod they strike the judge of Israel on the cheek! But you, O Bethlehem-Ephrathah, who are too insignificant to be among the clans of Judah, from you One will go forth for Me to be Ruler in Israel. His goings forth are from long ago, from days of old. Therefore He shall give them up until the time when She who is in labor has given birth; then the remainder of His brothers shall return to the sons of Israel. And He shall stand and shepherd His flock in the strength of Yahweh, in the majesty of the name of Yahweh his God. And they shall remain because now He shall be great to the ends of the earth; and He shall be their peace. This One will be our peace. When the Assyrian invades our land, when he tramples on our palaces, then we will raise against him seven shepherds and eight princes of men. They shall shepherd the land of Assyria with the sword, and the land of Nimrod at its entrances, and He will deliver us from the Assyrian when He comes into our land and tramples our border. The prophet Micah was a contemporary of Isaiah and Hosea, whose ministries both decry the moral corruption and ungodly social disorder of both the northern and southern kingdoms of Israel. Both prophets pronounce judgment upon them with frightening descriptions as well. In a similar manner, Micah comes to complement their messages. He begins his "book" with the soon-coming judgment upon Samaria, the northern kingdom. Then he moves on to the southern territory, addressing Jerusalem directly. Jerusalem, of course, is the great city of Israel. It's the place where Yahweh dwells in the midst of His people. It's the place where the King of Israel is enthroned above the cherubim. It's the place in which Yahweh built a house for His own name to dwell. It's also the place in which Ahaz, king of Judah, presently reigned during Micah's ministry. In Micah 5, Israel is given a charge. That charge is to prepare Daughter Israel for battle against the invading Assyrians. No one knows for sure which particular Assyrian attack this is describing, because there were a few around the same general time, but Zion is nonetheless warned to prepare for suffering as they encroach upon Judah's borders. Daughter Israel is portrayed as vulnerable and She knows She is. The king of Assyria is arrogant, intent on eventually laying siege to Jerusalem, the city of Israel's Great God and King, thereby striking the Judge of Israel on the cheek. Daughter Israel knows this too. It's only a matter of time before the destiny of the northern kingdom becomes the destiny of the southern kingdom. Assyria trampled the northern kingdom under foot, demonstrating how weak and embarrassing their king was. Now Jerusalem is to be assaulted. But will it be destroyed? Will Judah's king (Ahaz) also prove to be embarrassingly weak? That's part of the message of Micah's prophecy, but that's certainly not all. Yahweh promised to raise up a deliverer from this foreign invasion, from those who trample Israel's borders. Yahweh promises to act as their Deliverer and Chief Shepherd, appointing an adequate amount of "under-shepherds" to overthrow their oppressors, establishing peace in the land again. Micah even says that the land of Nimrod, i.e. the land of Assyria during the confusion of Babel before Israel was formed, would be conquered and possessed by Israel because of Yahweh's shepherding deliverance. The fulfillment of this promise is another major part of Micah's message to Israel. Why then do the chief priests and scribes interpret Micah's prophesy as reaching its fulfillment in their own day (Matt. 2:5-6)? 'And you, O Bethlehem, in the land of Judah, are certainly not the least among the rulers of Judah; for from you shall come a ruler who will shepherd my people Israel'"
The answer to this question is not as complex as it may seem, and actually has tremendous relevance understanding future portions of Matthew's gospel. But it's also relevant for the way Christians live year after year, commemorating and embodying the message of Advent year after year. Also, notice carefully that Matthew is not quoting Micah directly, and so whatever translational differences there are between Micah 5:2 and Matthew 2:6, those differences are not between old and new Scritural traditions. Instead I'm going to suggest that Matthew is setting his audience up to notice the difference between the traditions of the religious leaders of Israel and Jesus' leadership over Israel. (In other words, it's not necessary to think that Matthew is adapting Micah's words or inventing history in order to present Jesus as Israel's Messiah.) Matthew's seems to be painting a picture (with words) of what Israel's shepherds and princes believed and taught concerning their promised Messiah. And the more I review the beginning of Matthew's gospel, the more obvious this becomes. The scribes and chief priests are quoting Micah directly as though they believed Israel was still in exile and awaiting Yahweh to finally raise up His great Davidic King from Bethlehem, which Micah described as the "least significant" of all cities among Judah. In their eyes, however, Bethlehem could not certainly be the least among the remnants of Judah because Israel was still in exile, but Bethlehem still remained in Judea even after their return from Babylon. Therefore, instead of buying into the silly notion that Matthew is revising history in order to make Jesus appear to be Israel's Messiah, Matthew is presenting, right from the outset --in broad daylight, as it were-- the most fundamental hope of the chief priests and scribes of Israel who would eventually betray and crucify their Messiah. Matthew uses various means to set his audience (us) up to see this. Matthew begins his gospel with a three part genealogy of Israelite rulers, beginning with God's promise to Abraham and the fourteen generations following in his line. He then moves on to the Davidic dynasty and its fourteen generations, upon whose throne Yahweh promised to shepherd his people (as seen also in the quote from Micah above). From that point on, Matthew does something remarkably odd. Matthew begins his last phase of fourteen generations, not with a specific king, but with a specific event. That event was the "deportation to Babylon" (Matt. 1:11-12). He begins a new phase of fourteen exiled princes wherein the promised throne of David's descendants had, in fact, remained eclipsed (Matt. 1:17). This is especially startling in light of this gospel's ending. One might sooner expect the chief priests and scribes, who would eventually betray and crucify Jesus, to interpret Micah's promise of deliverance as fulfilled in Micah's day, or even at the end of the Babylonian captivity. But there is no indication within Matthew's gospel that they ever did change their mind. Instead Matthew paints a picture of Israel's rulers heartening their hearts in the face of their promised King, and King whom they knew, but did not want to acknowledge as true because Jesus stood in opposition to their cherished idolatrous traditions. As an example of how they could have interpreted Micah's message, they could have viewed Hezekiah as the king of Judah appointed by Yahweh to successfully resist Jerusalem's Assyrian oppressors, thereby bringing peace to the land. But Matthew clearly describes the theology and eschatology of Israel's leaders as pointing to some One else, some King beyond the reign of Ahaz and Hezekiah (1:9-10). In Matthew's eyes, the chief priests and scribes have a clearer Messianic picture in mind. They see themselves as the shepherds and princes of an Israel which remained in exile up to their own day. But this too is strange because Israel did return from exile. Long after Hezekiah, Israel did return from the Nimrodic borders of Babylonian exile as prophesied by Micah's contemporaries, and at that time Yahweh did use His own "messiah" (מָשִׁיחַ, "anointed one") and "shepherd," Cyrus by name, to lead another exodus from captivity back to the promised land (Isaiah 44:28; 45:1; II Chron. 36:23). In fact, by the time Matthew wrote his gospel, many Israelites had been living within the land of Judea for a long time because of what Cyrus, their "messiah" and "shepherd," had done. If Cyrus had not conquered the territory of Assyria and Babylon, the people of Israel would not have been worshipping Yahweh in the temple Herod had built for them in Jerusalem! Shouldn't that "messiah" and "shepherd" have been a possible (if not likely) interpretation of Israel's scribes and chief priests when confronted with incarnation of Jesus Christ? Matthew's gospel teaches us that during Israel's advent the religious leaders didn't think so. Matthew's gospel also implies that they had a great amount of confidence in their own eschatological role too, not unlike many fundamentalist Christians today, who view themselves as the only "true" shepherds and rulers of God's people while, at the same time, imposing ungodly traditions of their own (allegedly from the Bible too) and persecuting those who challenge their long-established traditions. If it is true that the scribes and chief priests believed Bethlehem was certainly not the least among the clans of Judah because Israel's kingly "messiah" would arise from there, this means the people of Israel learned to anticipate this as well. In fact, all throughout Matthew's gospel Jesus is correcting and critiquing the teaching of Israel's shepherds --the scribes, Pharisees, and chief priests-- because the people of Israel were lost according to their directions. As it was during the days of Ahaz, the rulers of Israel in Jesus' day were thoroughly corrupt, embarrassingly weak, and ripe for God's visitation. No doubt the rulers of Israel believed and taught the message of expanding conquest, victory, and peace as promised by Micah, but Matthew presents their faith as being unable to let go of one caveat: they, and no one else, would be the ones with adequate faithfulness to identify Israel's Messiah. They certainly believed Yahweh would raise up a king from Bethlehem to deliver them from exile again, making it out to be a very significant clan among Judah. However, they considered themselves to be the faithful "under-shepherds" of Yahweh, and any king arising from Bethlehem would need to be on their side, following their standards of faithfulness to Yahweh, drawing near with sacrifices in their temple. If what I suspect is accurate, this has many implications for Christians today, not the least of which is learning the important lesson of history that kings of nations and bible-leaders rise and fall, many times believing important truths about God along the way too, but none of them ever match up to the faithfulness of Jesus the Christ, the second Adam, who reversed the order of rising and falling by taking upon himself the likeness of sinful flesh in order to fall and then rise again. And unlike the first Adam, whose descendants perish under the old creation, Jesus took the fall upon himself so that a new creation could rise with him. Another important lesson we learn is that God is faithful to the promises of His expanding conquest, victory, and peace, even when ungodly rulers attempt their own conquest and promote their own idolatrous gospel of peace. Our Lord's message through the prophet Micah isn't that much different from the message of Matthew's gospel, nor is the opposition they received. Jesus is King of kings and Lord of lords. All authority in heaven and on earth has been given to him, whether people like His rule or not, and Christians should find hope and comfort in that reality. We also learn from this that God can and does raise up rulers who are faithful to Him --rulers like Hezekiah and Cyrus-- even though all of them will fail at some point, in some way. Once upon a time the chief priests and scribes of Israel were faithful, but eventually became full of their own traditional faithfulness. Then God raised up many faithful rulers to follow Jesus, baptizing them in the name of the Father, Son, and Holy Spirit, teaching them to observe all that He commanded them. The fact that God remains faithful even when previously appointed rulers no longer are, should not discourage us. When our rulers are leading Gods people astray, provoking the Lord's wrath, all of that is still according to Gods promise. Everything is still right on schedule even when we, His people, need to repent of our sins, turn away from our cherished idols and back toward Him. These perspectives are essential to understanding Advent. Advent is not for the high and mighty, self-righteous, self-appointed under-shepherds whose savior dons the same wide phylacteries as they do. Rather, the season of Advent is for the lowly who acknowledge their need for Jesus to be their deliverer. Advent is for the lowly who want Jesus enthroned over all, invading all the Nimrodic entrances and toppling all Babelic towers which attempt to reach the heavens without Him. Advent is not for pietistic and cowardly kings like Ahaz or for arrogant and confident ambassadors like Assyria's Rabshekah. Rather, the season of Advent is for the Hezekiah's and David's who understand that Yahweh's name will most certainly be great to the ends of the earth, so that He will be their peace. Advent is for the lowly, like the disciples of Jesus who reformed their lives, put away their idols, gave up everything prized among the proud, sold their landed inheritance, and held all things in common so they could distribute to the poor and persecuted brethren among them. Advent is for the lowly who carry a cross and follow Jesus wherever He leads, even if that means storming the very gates of Hell. Advent is for the lowly in God's sight. The lower a sinner recognizes himself to be the greater glory there is for the Christ who saves him.